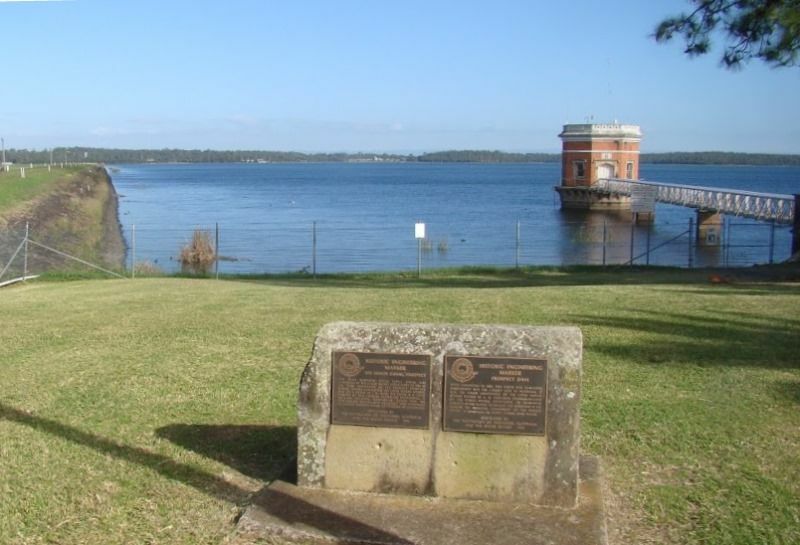 The plaque recognises the Lower Canal at Prospect Dam as an Historic Engineering Marker. This eight kilometre water suppy canal was completed by the Public Works Deaprtment in 1888 as the third component of the Propect Reservoir works, thereby completing the Upper Nepean Scheme. Laid on a grade of 1 in 10,000, the canal is a good example of 19th century hydraulic engineering. It includes spillways, stormwater flumes and the now-disused Boothtown Aqueduct and continues to convey Sydney`s water to pipehead at Guildford.